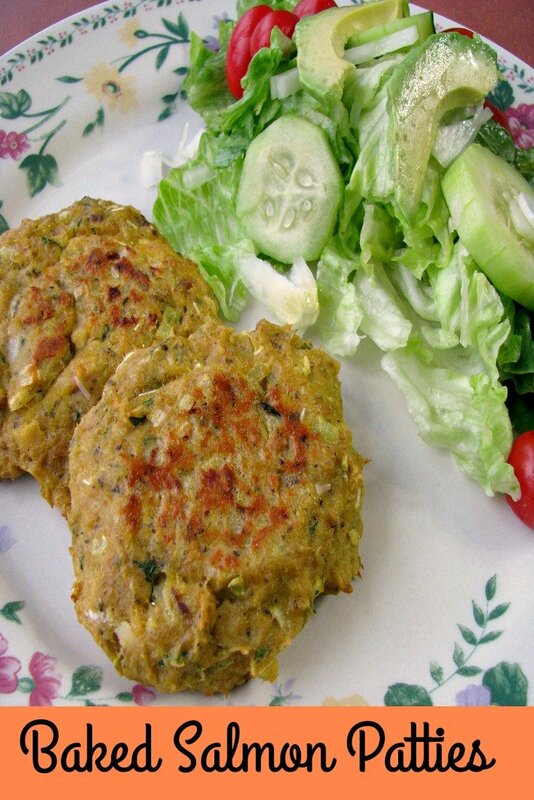 These flavorful Baked Salmon Patties are made with canned salmon, minced onion, seasonings, and topped with a homemade, optional, chili lime mayo. They are ready to eat in 30 minutes. We love salmon, and I make it several times a month. 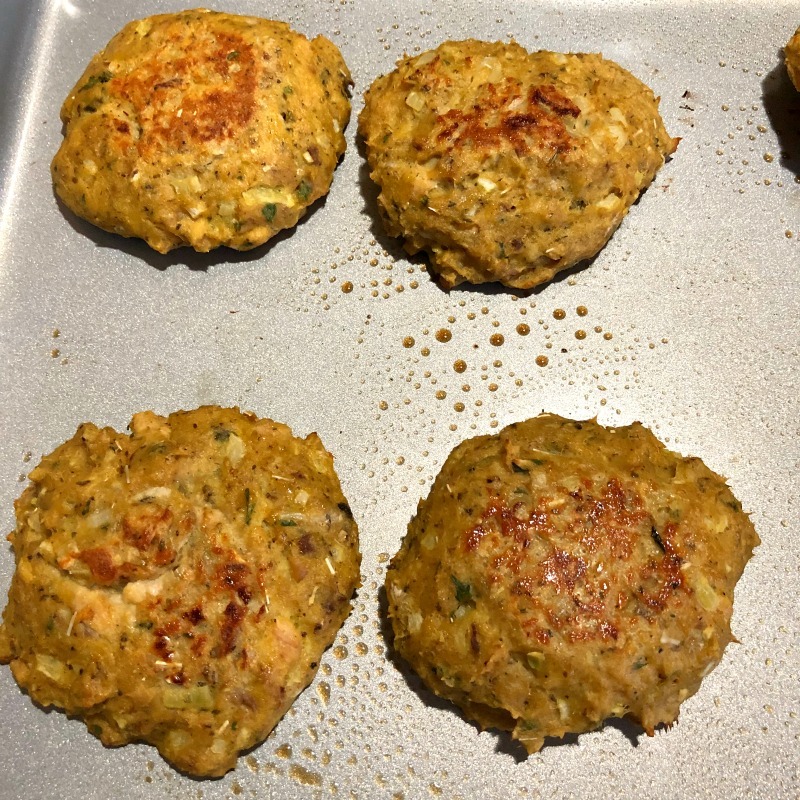 Normally, I make baked salmon with butter and lemon juice, but these easy salmon patties are great when we want something different. 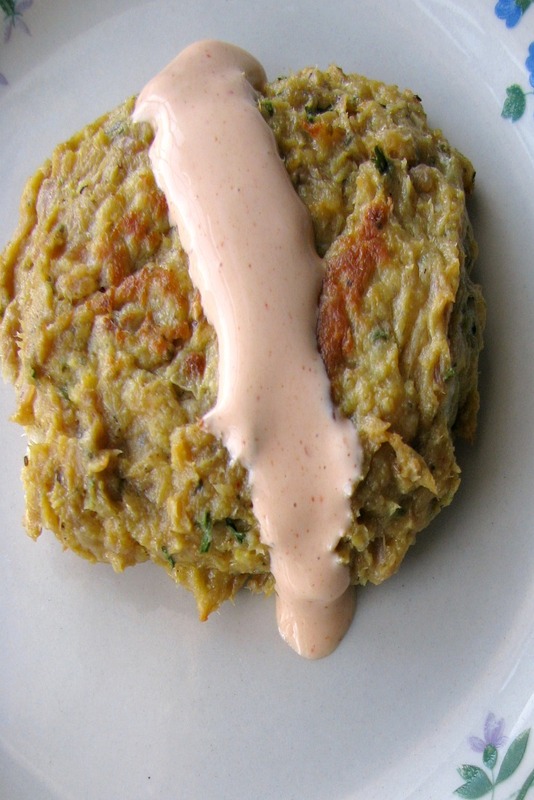 I can eat them plain, like pictured above, or topped with a chili lime mayo made with Cholula chili lime hot sauce. 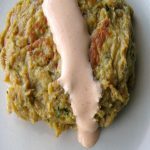 How do you make Baked Salmon Patties? 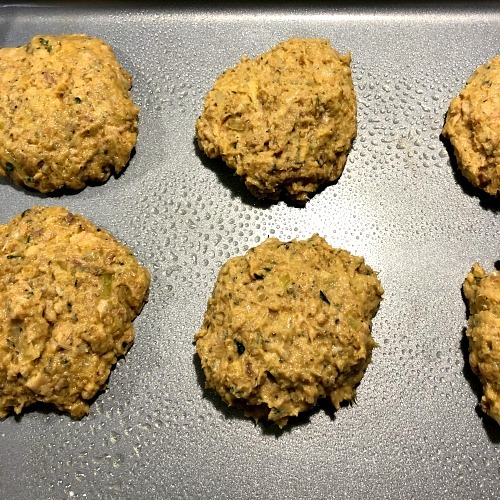 I make baked salmon patties with flour and egg to hold them together. 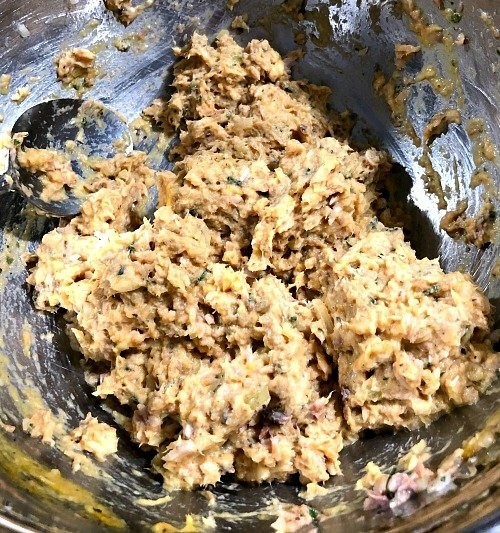 You could also use breadcrumbs or almond flour to make keto salmon patties. Start by mixing flaked canned salmon that has been picked through for any bones, minced onion, celery salt, Old Bay, dried parsley, and a pinch of cayenne in a large bowl. Add lemon juice, two beaten eggs, and flour, mix well. Preheat the oven to 375 degrees F. Lightly spray a baking sheet with cooking spray. Shape the salmon mixture into six equal patties, adding additional flour as needed if the mixture keeps sticking to your hands. I added about 3 tablespoons. Baked in the preheat oven for 10 minutes, turn carefully, and bake for 10 minutes more, or until golden on both sides. Serve with chili lime mayo if desired. Mix 1 tablespoon chili lime hot sauce with 3 tablespoons mayonnaise. Drizzle over the salmon patties. Mix flaked canned salmon that has been picked through for any bones, minced onion, celery salt, Old Bay, dried parsley, and a pinch of cayenne in a large bowl. Add lemon juice, two beaten eggs, and flour, mix well. Bake in the preheat oven for 10 minutes, turn carefully, and bake for 10 minutes more, or until golden on both sides. While the salmon patties are baking, prepare the chili lime mayo by mixing together the mayonnaise and chili lime hot sauce. Drizzle over the salmon patties when serving.